The northern hemisphere is waking up from the longest night of the year to the first day of winter. Today, the tilt of the North Pole will reach -23.5 degrees outwards, the furthest away from the sun it is all year. 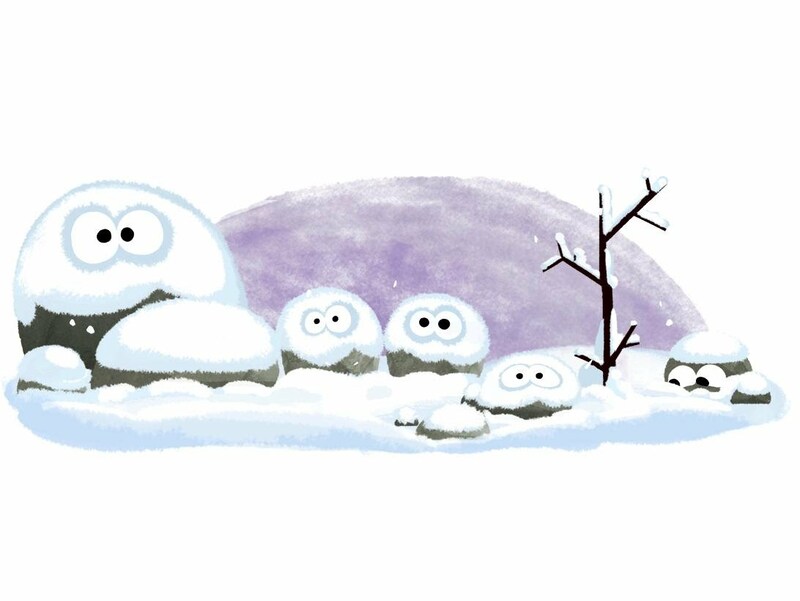 The winter solstice marks the first day of winter for astronomers and is the subject of an animated Google Doodle in which snow-covered rocks with eyes appear to shiver as snow falls. While the entire day is typically considered solstice, scientists can measure the precise moment it occurs, when the sun is directly over the line marking the Tropic of Capricorn – the latitude stretching across the southern hemisphere. This will happen at 10.44am in the UK, with people set to gather at ancient monuments such as Stonehenge to watch the sunrise and the moment when the sun reaches its most southerly point in the sky. Daylight on Wednesday will last just seven hours, 49 minutes and 41 seconds – almost nine hours less than the year’s longest day in the summer. However, in regions to the north of the Arctic Circle, the winter days have no sunlight at all. Usually, the solstice falls on the 21st day of the month, but the time can vary each year, due to the slight discrepancy between the time that we use and the solar time – a variation which is rectified every four years, when a leap year occurs and we get an extra day on the calendar. Employees at the Korean Folk Village, hand out bowls of red bean soup to visitors at the village in Yongin, south of Seoul, South Korea, to celebrate the upcoming winter solstice. This is the reason winter solstice, an important pagan festival, took place on 22 December in 2015. For the day of the solstice only, admission to the Stonehenge site will be free, allowing the druids and spectators to conduct their observances freely. 0 Response to "First day of winter"